The UNACO is a anti-crime organization. That is exactly what is in its full name. One of the many organizations inside the U.N., the United Nations Anti-Crime Organization, or UNACO, is dedicated to fighting the criminals who ignore national borders with ease and whose continued to success undermines the U.N.'s struggle for peace throughout the world. The head of the organization is Malcolm Philpott and it is his job to decide which cases the agency will handle. It had been Philpott who had first conceived the idea for UNACO while a professor at a prestigious New England university. He had performed highly involved research into the growing concept of global crime, working under a grant largely funded by the CIA. 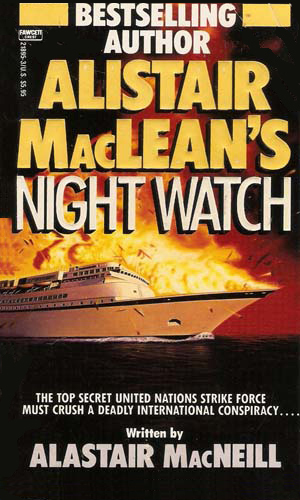 It had been Philpott that presented the idea that organized crime with the ability to span the world presented a real and definite danger to the security of individual nations. He proposed a bureau that could function anywhere on the planet with authority and funding to fight the criminals at their own level. He was surprised when the Nixon administration not only approved the idea and agreed to fund its establishment, but also agreed to let it function under the authority of the United Nations, giving it the international touch it required. Philpott was made the first director. On the surface, the makeup of UNACO would hardly cause a second look. It operated in a back area of the U.N. Building where people seldom went. It had a reasonable number of highly efficient data processors and analysts receiving and reviewing information from around the world looking for patterns and issuing reports to the appropriate law enforcement bureau of the affected nations. It seemed like another version of Interpol though dedicated to international criminals and terrorists rather than common crooks. Beneath the surface, though, Philpott operated a much more hands-on approach to fighting crimes, using accomplished criminals working on his behalf to finagle their way inside the enemy camp and destroy it from within. For this, he needed the best criminals he could find. As the series begins, he had two working for him already and a third would be join in the adventure as he was already plotting against the same man UNACO was after. Sabrina Carver was an exquisite beauty from Iowa who had from age nine been a thief. She stole to buy things and she stole because it was fun. She loved a challenge and after she was caught with a stolen brooch by her mother the first time she stole something, she made sure she was never caught again. At age 17 she graduated high school and headed to New York and the millions she would soon amass as a daring and exceptional jewel thief. C.W. Whitlock was a black man from New York who appreciated the finer things in life and knew that stealing was a good way of obtaining them. Since these things were seldom at ground level and often inside safes and vaults and the like, he became extremely good at getting into places designed to keep him out. Whether it was climbing the side of a skyscraper or hang-gliding onto a roof, he could get into virtually any place he wanted and was very good at opening locked compartments once there. Both Carver and Whitlock had already been recruited by Philpott to assist him on missions. While both were still active in their illegal professions, he had to turn a blind eye to this but did so knowing that their kind of stealing was not the kind of crooks his bureau was after. 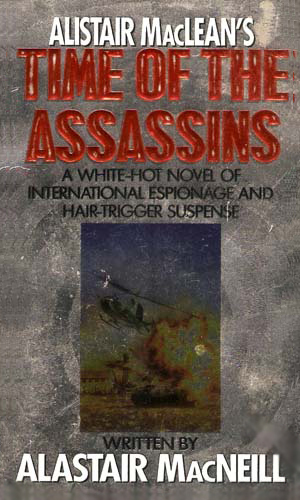 The third member of the operations team, and the man who would become the de facto leader of the trio, was Mike Graham, one of the best weapons man Philpott had encountered. He could operate virtually any kind of weapon made and could shoot with terrific accuracy. He was also in great physical shape, had tremendous self-confidence, and was brash enough to bluff his way into any situation. Graham was also a man on a mission when Philpott encountered him on the first documented case as he had been a CIA agent on the trail of an international group devoted to destabilizing governments for financial gain. The leader of that group had ordered the death of Graham's pregnant wife years before and Carver was determined to get revenge. 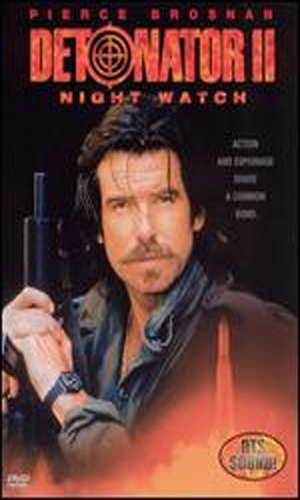 The CIA cooperated and made his leaving look like a nervous breakdown leading to a life of crime when he was really setting the scene for infiltration. The three would make an excellent team, designated Task Force 3, and would be the team that Philpott called on for the hardest missions. 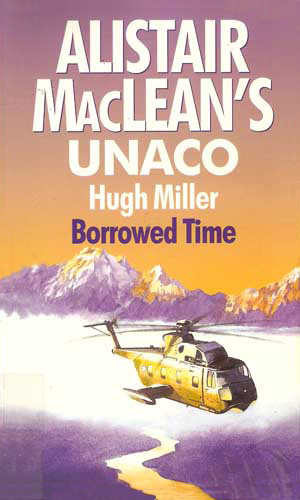 This series is properly named Alistair MacLean's UNACO as the concept for the series was his and the first couple books are reported to have come from notes he had written. He had apparently been commissioned by a movie studio to create a concept from which numerous movies might be made and UNACO was the result. The master storyteller did not actually write any of the books, however, giving that task to John Denis. 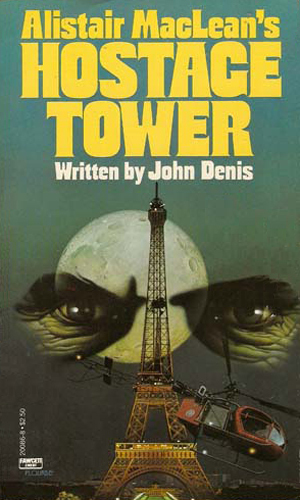 Mr. Denis wrote the first two books while the master-storyteller was still alive and probably with his approval. The remaining adventures were all penned after his death, ostensibly based on noted he had made. 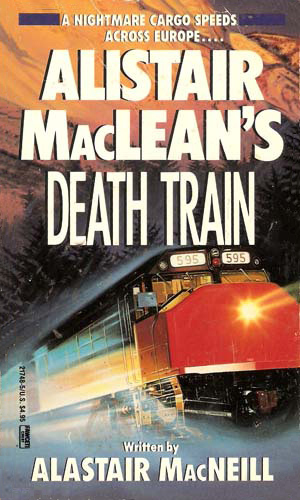 Alastair MacNeill wrote the next six with Hugh Miller writing the final two. A criminal genius has gather three at the top of their game, a weapons expert able to blow up anything, a cat burglar able to climb anything, and a strongman who can also think on his feet. They are holding the Eiffel Tower hostage unless UNACO can stop them. It seems that someone has managed to blow up the President's plane and dealt a massive blow to freedom. UNACO is sent in to find out if it really happened and who did it. On a train zipping across Europe are six kegs of pure devastation. Five hold plutonium while the sixth has even worse. It is up to UNACO to stop the train before disaster hits. The famous paining named Night Watch by Rembrandt has been stolen despite the ultimate in security. Since it was on loan at the time, UNACO must step in to avoid an international incident from escalating. 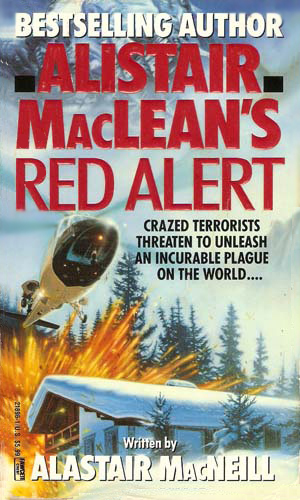 The Red Brigade has broken into a research facility in Italy and stolen a new horrific virus. UNACO agents are dispatched to retrieve the vials and bring the terrorists to justice. Graham, chief agent for UNACO, has gone missing as he tracks down an infamous assassin thought long dead, the man who killed his family years before. But there is more going on than he knows and both the CIA and UNACO strive to find and stop him. 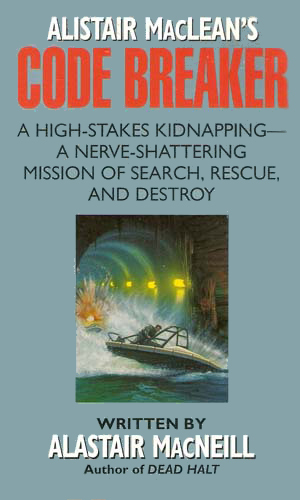 A private yacht smashes against the rocks of Nantucket and a large cache of arms is found onboard. Who is the illegal gun runner and for whom were these lethal weapons bound? 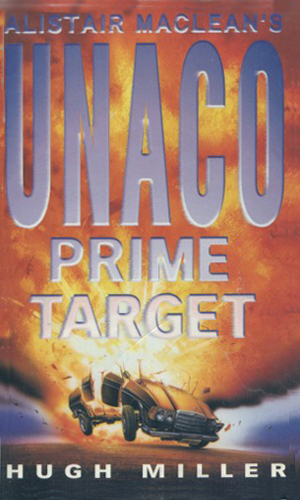 At the Lisbon airport, a raid by terrorists results in the capture of the leading crytographer for UNACO and with him all the codes used throughout the organization. In the hotel room of a young woman murdered in London was found a list of names, two of who had also been killed. One listed, still alive, is the computer genius who created ICON which tracks criminals around the world. Graham and Carver are assigned to keep him alive. Word comes to UNACO from a priest in the Kashmir region of India that a clash between militant religious extremists and drug lords is ready to explode. Then the priest is killed and things get out of control. Graham and Carver have their work cut out for them in trying to stop a bloodbath. 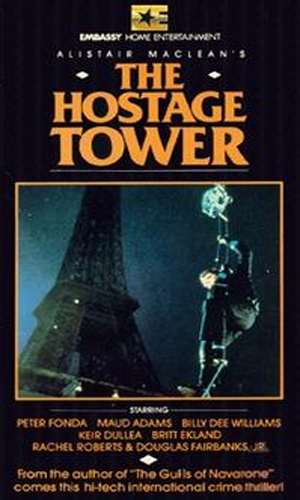 Criminals have seiged and are holding for ransom the entire Eiffel Tower and it falls to UNACO to get them out. 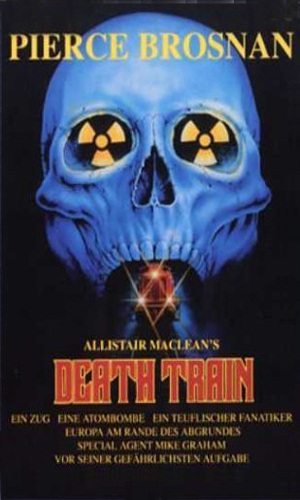 A Soviet general and a German scientist have put together a nuclear bomb which they had handed to an American mercenary to transport across Europe. Graham and Carver must get it. Mike Graham and Sabrina Carver are sent to Amsterdam to look into the theft of a Rembrandt but they learn it is just the beginning of an incredible scheme by a high tech crook and his Korean colleague. I kinda liked this series and kinda didn't, to use contradictory bad grammar. Whether the series was conceived as a source for television movies or they just came about naturally afterward, the book series is definitely built for the screen, not paper. The characters are hardly more than cutouts, probably because several writers shared the task of penning them. 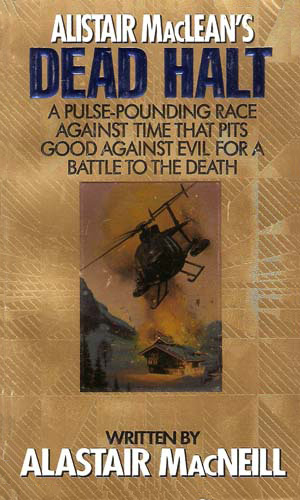 It has good plots but just misses being good itself. If it could have been left in one writer's hands, it had a chance. I liked Graham, loved Carver, appreciated Whitlock, and enjoyed each book. But it could have been more. 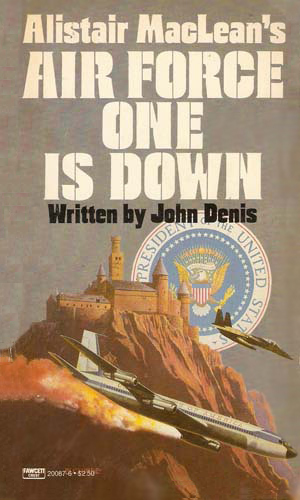 Just a note that "Air Force One Is Down" was also (very loosely) adapted as a two-part made for tv miniseries with Jeremy Sisto,Rupert Graves, and Linda Hamilton in 2013.